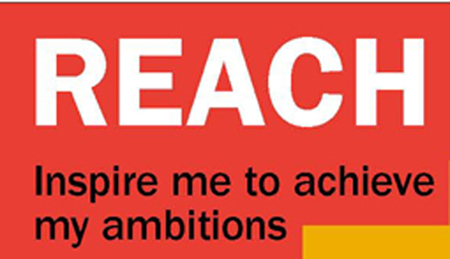 The REACH programme was established to support and inspire young black boys and young black men to raise their attainment, aspirations and achievement. 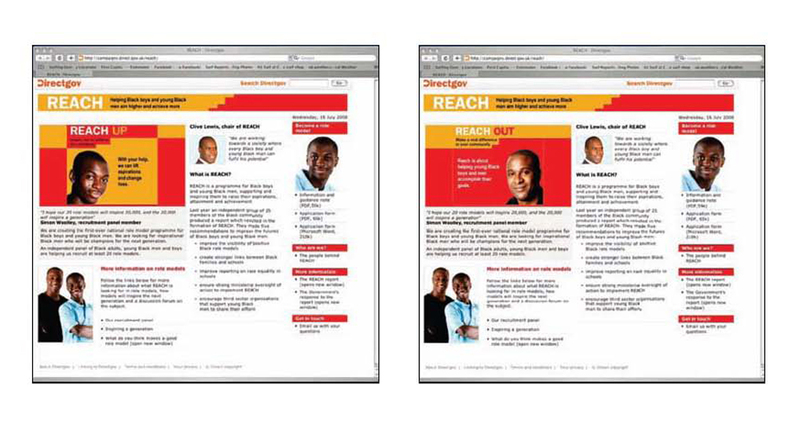 Building on the legacy of the Stephen Lawrence Steering Group and the Race Equality Advisory Panel, 25 members were selected from a cross-section of fields including fashion (Oswald Boateng), business (Tim Campbell from The Apprentice), the voluntary and community sector, education, local government, academia and law enforcement. Collectively they produced a report commissioned by the Government. 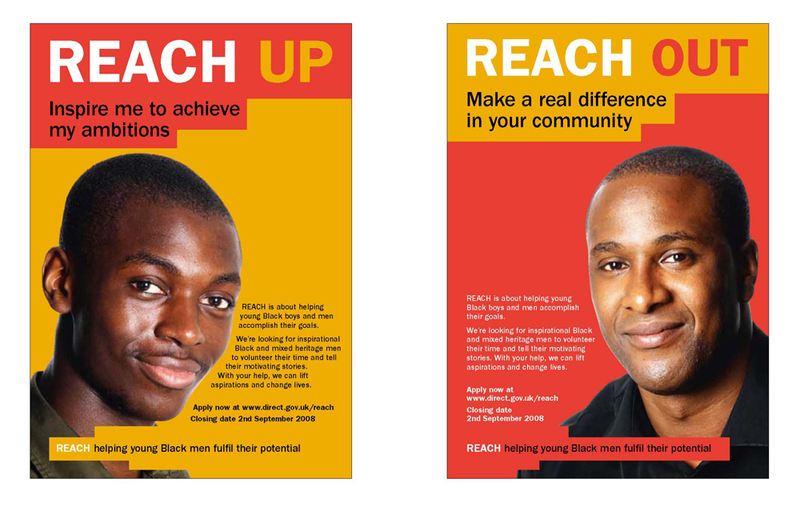 The brief was to develop a concept for the REACH role model recruitment campaign. 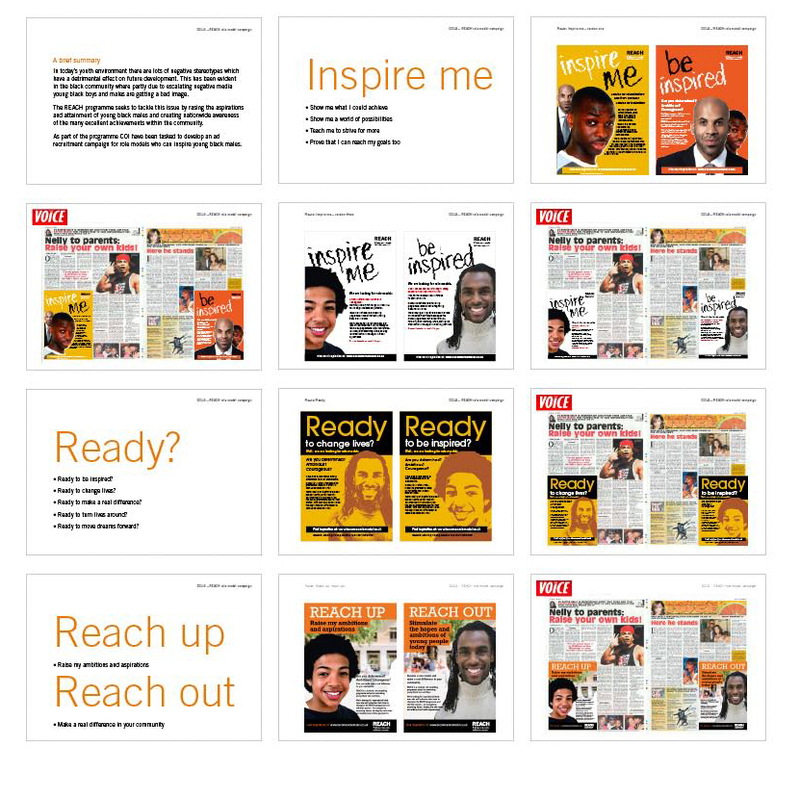 It would be seen across various channels and the aim was to generate a significant response in order to select 25 strong role models. 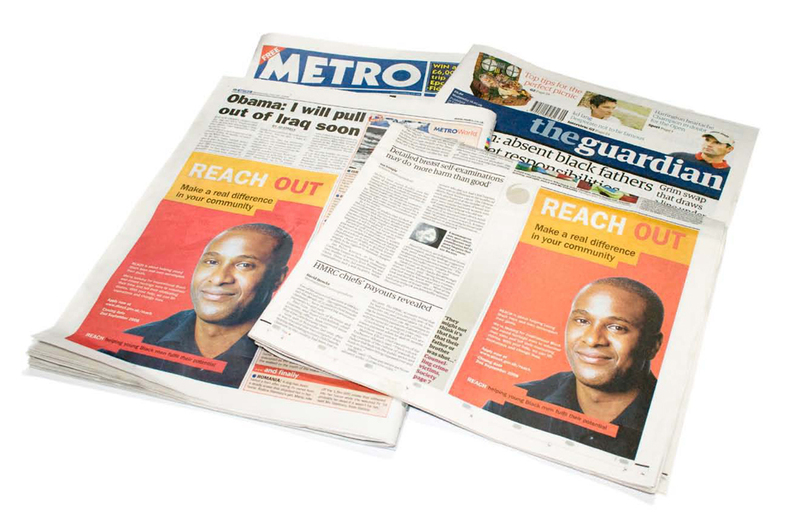 I was responsible for leading the campaign, working with both internal colleagues and a range of senior stakeholders across government departments. The campaign was extremely high profile. It was a major priority for the minister responsible and was likely to generate maximum media interest. 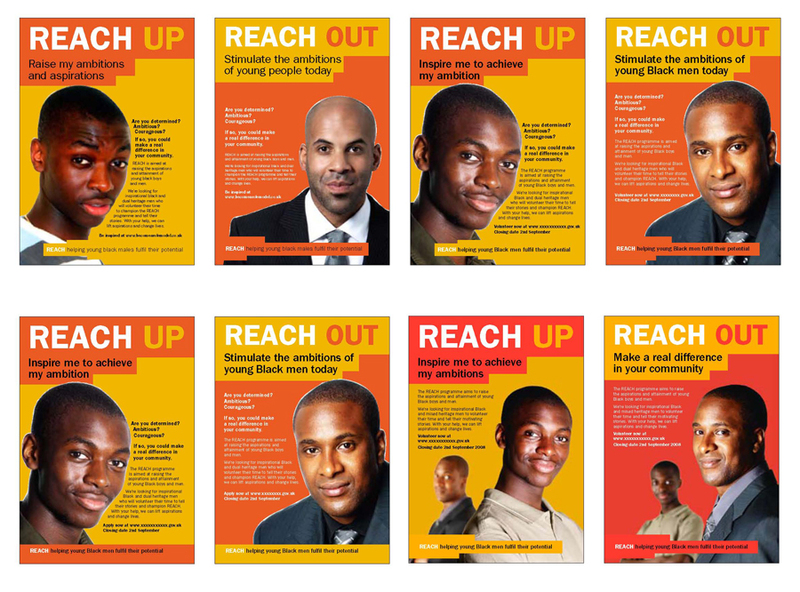 The ‘Reach up, Reach out’ concept aimed to encourage young black boys and young black men to reach up and rise to their fullest potential. It was also aimed at recruiting the right male role models to reach out to young people in order to help to raise their aspirations. The campaign was very well received by the minister and many key stakeholders.